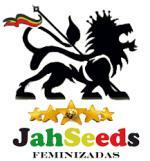 Let jah guides You!, Hello!, Let us introduce you to Jah-Seeds, a seed bank of feminized cannabis, which peels premium quality of these. 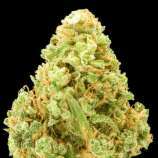 The search of the best genetics is our motive., The market has a deficit of quality by continuity of the same strains. the stability there of nobody cares . Everyone is tired of seeing the same seeds with different names and buy bait and, reaching the point of not being easy to recognize a real or genuine Critical Mass Amnesia Haze and those are things that you can not pass along who wants take advantage of this plant, as they are two of the best genetics of this old continent., Our family works with these genetic from 2004/2007, to which we add Flavius Horrendus (2002) one of our first choices, a mother chosen from the old school Dutch and African landraces, plant com strong stem, very resistant to fungi and very productive. We work with more than a dozen genetic, but our big bet is to explore the true potential of these three strong pillars., So we gathered flavors and exquisite hues in plants with a high thc theory, big Productivity and short periods of flowering., Regarding the selection of our seeds, this is done manually, one by one, where only the most resistant and fully formed are chosen. They are perfectly equipped, where the temperature and humidity in order to prolong the optimum quality of our products is constantly monitored., Thanks to our genetic quality, knowledge gained over the years by selecting power, tastes, physical plant resistance and behavior to the most recent culture media, we can guarantee the highest level of satisfaction when purchasing branded products Jah-Seeds., Remember, do not produce simple cannabis seeds.